0% Financing for 60 months available through Wells Fargo for those with approved credit. 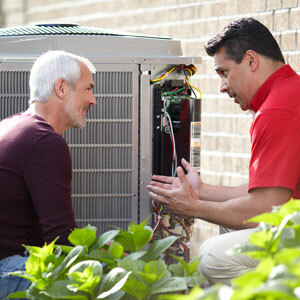 We have the products and skilled technicians required to replace your existing heating and cooling system. Our team is available around the clock, ready to help you whenever you need it most. Give us a call anytime! Keep your heating and air conditioning system working efficiently for years to come with ongoing maintenance. We pride ourselves on superior customer service and competitive pricing. Whether you need repairs immediately or hope to avoid problems down the road, Wantuck Comfort Solutions has the training and expertise to answer your needs. We are large enough to service the HVAC requirements of our many customers but continue a commitment to the individual service you deserve. At Wantuck Comfort Solutions our goal is to keep you completely comfortable, season after season. We install top-of-the-line equipment to deliver unmatched energy efficiency, reliability and cooling power, all covered by outstanding warranties. Our certified, licensed and fully insured technicians work within your busy schedule to minimize inconvenience and maximize satisfaction. Call (773) 349-9735 for the premier cooling contractor in La Grange IL, Riverside IL, Oak Lawn IL, Summit IL, Palos Heights IL & Chicago, IL. We can't wait to change the way you enjoy your summer. An unbeatable combination of affordable prices, superior work and reliable service, guarantees you a rewarding experience from your initial call to the completion of the work. 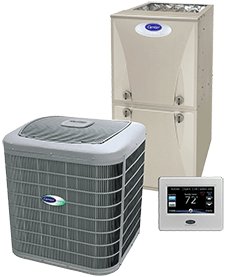 For 100% cooling and heating satisfaction from the moment we answer your call until we leave you completely comfortable, contact Wantuck Comfort Solutions at (773) 349-9735. $95.95 Fall Clean & Check Can not be used with other offers. Call dealer for details. Limited Time Offer! Save $25 Off a Service Call Can not be used with other offers. Call dealer for details. Limited Time Offer! 10% Off Maintenance Agreement Coupon has to be present at time of service. Call for details. Limited Time Offer! When you’re in the market for sales, service or installation work for HVAC systems, choose the high-efficiency experts. 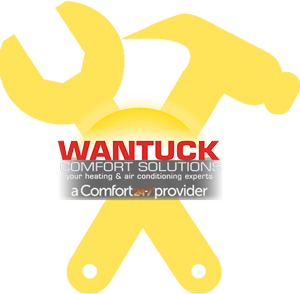 Wantuck Comfort Solutions has solutions that meet all needs. We deliver fast, dependable and expert workmanship to the Chicago area, continuing a reputation for excellence and building lasting relationships with our customers. Today’s homeowners demand not only reliability and quality from their heating and cooling solutions, but also equipment that will lower energy costs and reduce total impact on the environment. As a Carrier Factory Authorized Dealer, Wantuck Comfort Solutions has access to the leading brand, most innovative features, and advanced technology on the market today. 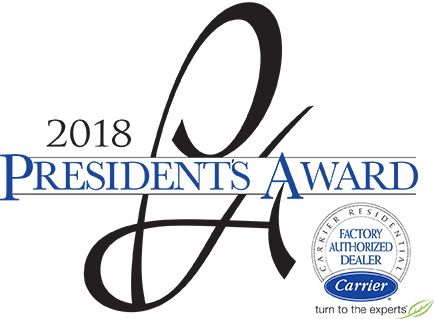 Carrier leads the industry in efficiency ratings, system longevity, environmental responsibility, and overall power. There simply is no better product than a meticulously designed Carrier HVAC piece of equipment. At Wantuck Comfort Solutions we strive to make home comfort convenient. 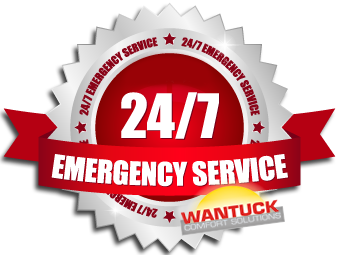 For those times when you’re faced with a desperate situation at the worst possible time, we offer 24-hour emergency service. We never leave you stranded, waiting for a Wantuck Comfort Solutions service technician. Our licensed team of specialists arrives on time, equipped with advanced diagnostic tools and a wide range of parts to solve problems quickly and competently. Whether you require repair, service or installation, we minimize intrusion, keeping the job site clean and neat, and protect your home through the use of foot coverings. Our technicians are licensed, insured, background checked and drug screened. They have validated their knowledge through specialized certification tests recognized throughout the industry. By hiring NATE-certified technicians, you enjoy complete confidence in their skill, ethics, and dedication to the job. As a Comfort24-7 Provider, Wantuck Comfort Solutions guarantees all of our work with the “Comfort Promise.” If you’re not completely satisfied with the performance or efficiency of installed equipment, we’ll make it right or refund the cost of service/repair/installation. Our job is to make you completely comfortable, and we take it seriously.